I know I haven’t been active on here lately, but life happened. But now I’m back with another review! For those of you who don’t know, one of my favorite skincare brands is Nivea! When I moved to the US, I was sad to see that Nivea isn’t big here like in Europe. They recently launched a cushion foundation (in November last year) and I really wanted to try it, but it’s not available here in the US. Luckily, I got to travel to Austria for a few days where this cushion foundation is available so I bought it! This cushion only has 3 shades. Initially, I bought the medium shade thinking it’ll match my tone but when I got home and tested it, it was too dark. So I went back and got the lightest shade. Also, this cushion has SPF 15! As for the packaging, the cushion compact is made out of plastic and the cushion puff is alright (doesn’t blend very well). It doesn’t come with a refill. I’m not a big fan of this product. When I started applying it on my face, it’s not buildable. Since it’s light coverage, it makes you feel as if you’ve a second skin on your face. This product is great for those who have flawless skin, but since I’m not one of them, I’ll stick with medium coverage lol. 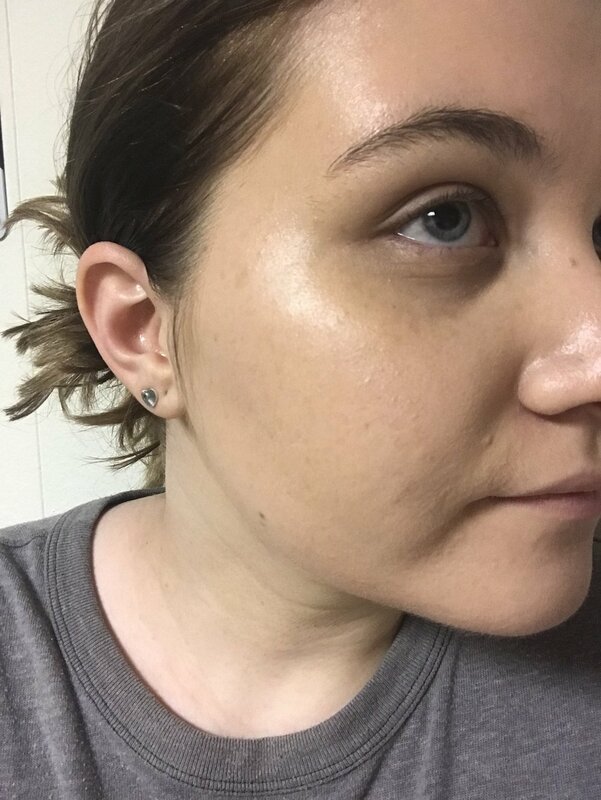 The foundation has a dewy finish. I tested this product for a couple of hours and I could see how it started to crease. But I had my doubts from the beginning, because very few foundations actually last for 24 hours. What the foundation looks like applied. Even the lightest shade, still looks too dark for my skin tone and I don’t like the texture. I won’t purchase this product again. DO YOU USE CUSHION FOUNDATION?